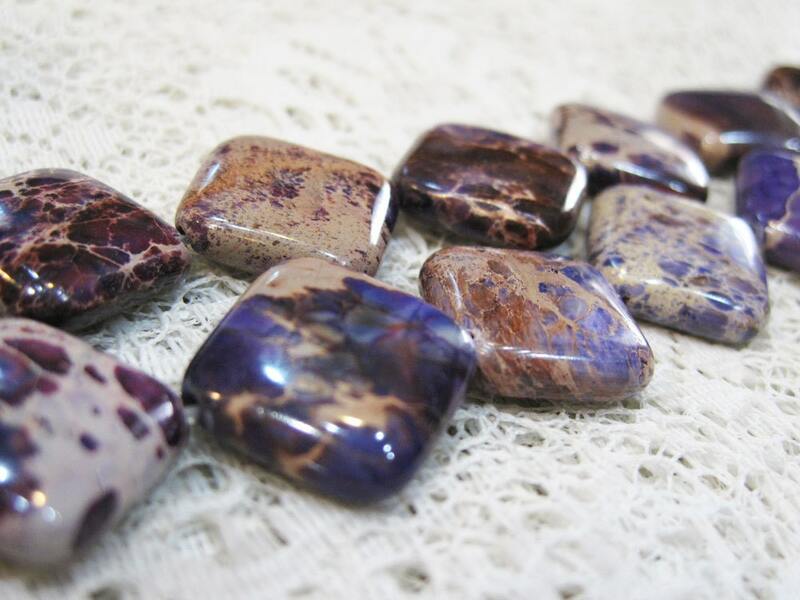 Dark purple diamond shaped aqua terra jasper beads, 16x16mm in size - there are 11 beads on this strand. Colors and patterns vary with each strand. 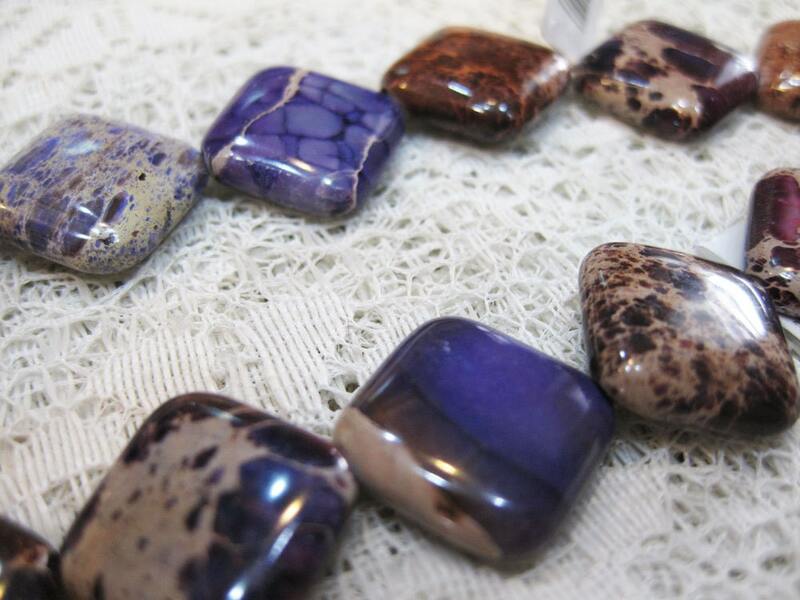 Great for your jewelry making designs. Pretty beads. Thought they would be bigger but still excited to create with them. I can't wait to use these lovelies. Love the color and thee shape.